Quick Thoughts: 30 ROCK, "Today You Are a Man"
At first sight, I should have hated "Today You Are a Man" because it had a pretty strong Kenneth and Jenna presence, but leave it to Liz and Jack to save the day. Right off the bat, I could only stand the Kenneth and Jenna plots in limited doses, but luckily they were not too obnoxious. The idea of Kenneth leaving the page program to become a real boy has some potential as does Jenna and Tracy's declaration to handle their issues head on, but we'll see how long it lasts. Of course, all I cared about was the Liz and Jack plot, and I thought that having her use his own methods in a negotiation was genius. It allowed them to interact with one another in a new way while also not sacrificing what makes their relationship special. Plus, it was responsible for Jack using the term "Jack-off," which was worth the price of admission. 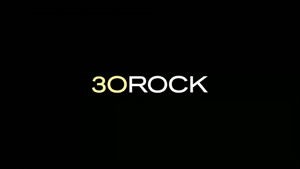 I haven't been totally enamored with this season of 30 Rock, but I'll still be on the bandwagon as long as they give us episodes that really underline the Lemon/Donaghy bond.